Welcome to Longacre, and thank you for taking the time to look at our website. As you explore, you will get a taste of what makes Longacre the magical school that it is. Longacre is a co-educational independent school for children aged 2½ to 11. We are just five miles south of Guildford, but set in the glorious North Downs. Children have woods to explore, time to enjoy the fresh air, and encouragement to get muddy. 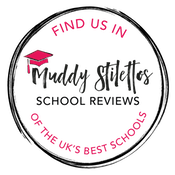 We put exploration, fulfilment and the delights of childhood at the heart of everything we do, because we believe passionately that these characteristics form the vital foundations for motivated, confident and aspirational learners. At Longacre we don’t believe in making a choice between happiness and academic success: children deserve both. Our website has photographs, written accounts, videos and reports which will all give you a sense of how our ethos translates into everyday life at school. Nothing, however, can replicate the buzz and exhilaration that one feels by being here, so do please come and visit us. The children are terrifically proud of their school and you will witness how well they demonstrate the qualities which senior schools always tell me are the hallmarks of Longacre: self-assurance, humility, warmth and interest in everything around them.